We meet and saddle up into Gus the Beach Bus as the morning sun greets the day and a new adventure begins. Hold on as we meander to the seaside and follow the windy road as it hugs the coast. 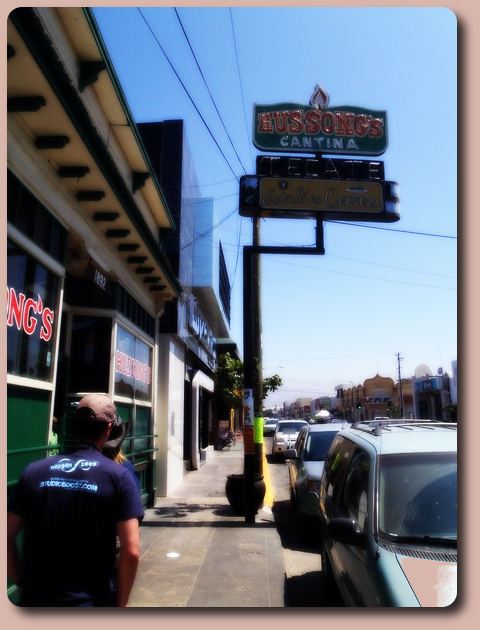 Our destination is the sea coast town of Ensenada. Famous for old Cantinas, fish tacos and a hospitable waterfront boardwalk. After a few tasty tacos and a couple of sight seeing laps it's time to board our boat and seek out the migrating Gray Whale on it's yearly journey to southern Baja California to give birth to it's young . It's a lazy boat ride into the Todo Santos Bay just off of Ensenada with our eyes peeled and ears strained to witness the unmistakable sight and sounds of whales breathing and breaching. It's 4 hours of whale watching and opportunities abound. The Gray Whale starts it's yearly pilgrimage in the northern latitudes during October as the arctic ice moves south. After approximately 2-4 months and a swim that can last almost 7,000 miles the Gray Whale can be seen in the warm Lagoons of Baja California and the coastal waters near Ensenada. Along with other marine life such as sea lions, dolphins, seals and a great diversity of birds you can imagine the experience is breathtaking. We arrive back to the dock and continue our exploring of Ensenada and points north to the border. Then it's on to the fishing village of Puerto Nuevo for lobster, seafood or just a relaxing walk around. 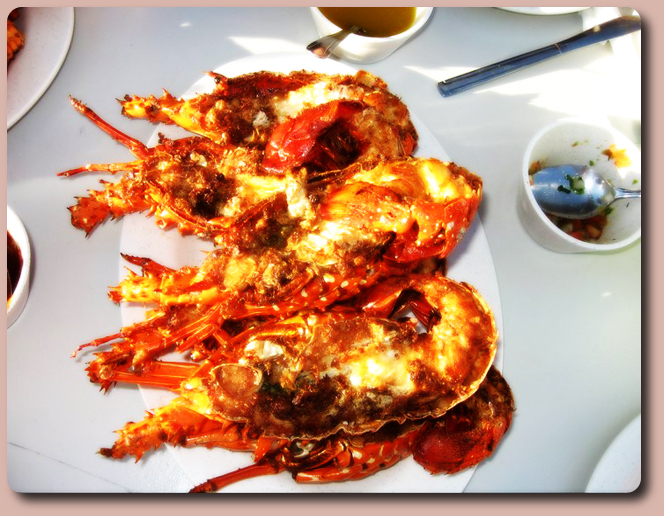 Often called the Lobster Capital of Baja, Puerto Nuevo has been preparing it's traditional faire since 1954 with the opening of it's first secret recipe restaurant. Since then people from over the world have come to enjoy the magic of Puerto Nuevo. Our adventures are designed to be flexible. 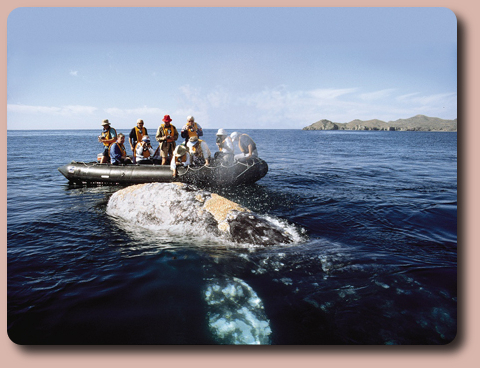 Due to the nature of Baja travel, the above itineraries are meant for representative purposes. Thanks for your understanding!